Inventory control software manages businesses’ physical inventory by providing real-time insight into the amount of each product they have on hand and available. Inventory control software is used to manage many aspects of a business, from purchasing and vendor evaluation to demand prediction and order optimization. Inventory control software is vital to keeping a production-focused business running smoothly, as its feature set is varied and its capabilities comprehensive. These features include inventory forecasting, asset tracking, inventory databases, stock history records, and more. Inventory Control reviews by real, verified users. Find unbiased ratings on user satisfaction, features, and price based on the most reviews available anywhere. Zoho Inventory is cloud-based inventory management software that helps you create and manage both your sales and purchase orders, and track your inventory. You can integrate it with online sales channels like Amazon, eBay, and Etsy, as well as shopping carts like Shopify and many more. Here's what we have in store: Stay updated on your stock levels at all times. Get instant updates on your inventory levels and get notified wherever your stock goes below re-order level. Keep your inventory organised with vital details like prices, cost, availability and SKUs. Centralised inventory system for multiple online stores. 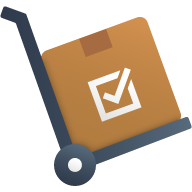 Automatically update your inventory quantities across all your selling channels whenever a sale is made. There's no margin for error when everything is in perfect sync. Integrate with shippings carriers, payment gateways and much more. Automate your entire sales process, from creating sales orders and shipping the products to tracking the delivery status and sending invoices to your customers. Manage everything from one single place. Make informed business decisions with our extensive reports. Use our comprehensive dashboard reports to get instant visibility into your business. See which products are your best-sellers with sales reports. You can also get details about your best customers and their payment history. Finale Inventory is an intuitive cloud-based inventory management system that is easy to use while designed to scale to the demands of a growing business. Handle all your stock movements from purchasing through to sales. 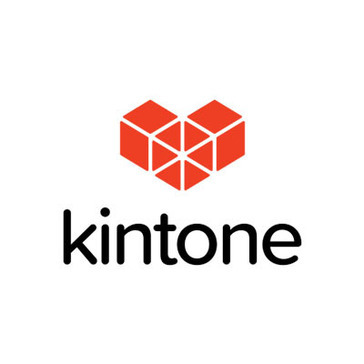 From the ShipStation inventory management integration, QuickBooks integration, and Kitting (Product Bundling) feature, Finale offers a comprehensive solution for multi-channel ecommerce retailers. Finale Inventory makes it a snap to manage your inventory across all the marketplaces (e.g. eBay, Amazon, Magento) products are sold. Prevent overselling and receiving negative reviews by having Finale sync inventory stock levels backs to your selling marketplaces. Additionally, Finale can support support 2 Million products and 1/2 millions orders / month for high volume customers. For warehouse distribution companies, Finale offers offers a comprehensive out-of-the-box barcode solution that doesn't require a small team of expensive integration consultants to get everything up and running. Finale Inventory supports many barcode configurations - whether you print your own labels, or use the manufacturer applied barcodes, use serial numbers, product IDs, lot IDs, pre-printed barcode labels, or generic sequential barcode labels - Finale has you covered. Additionally lot id tracking, serial number tracking and multi-location support, Finale offer a complete solution at an affordable price. Fishbowl is the #1 top requested integrated add-on for QuickBooks, and excels with award winning functionality for advanced inventory control, light manufacturing and order management. Think you've outgrown QuickBooks? Think again. Don't leave QuickBooks - upgrade it by adding Fishbowl Inventory today! Acctivate is a powerful, easy-to-use and affordable inventory software designed for growing small to mid-sized distributors and online retailers using QuickBooks®. The sophisticated solution promotes collaboration across the entire company with tools that deliver real-time visibility of inventory, sales, order fulfillment and purchasing. Operations are accelerated from customer service to the warehouse and key insights enable strategic decision-making. Acctivate replaces manual, error-prone methods like spreadsheets and helps solve virtually any business and industry specific challenge. Integrations to best-in-class technologies for eCommerce, EDI and more simplify business processes; and intelligent functionality for lot & serial number traceability, landed cost, mobile warehouse management and more enhance productivity and streamline operations. Acctivate is designed to solve growing pains at a fraction of what ERP software costs while optimizing the warehouse, protecting inventory investments and satisfying customers. Stitch Labs is an inventory and order management solution built for the fastest-growing brands in retail. Stitch helps brands sell across multiple channels, respond quickly to operational demands, and control their inventory from one place. Stitch provides a partner and a platform focused on forward-thinking retail, with a cloud-based platform that helps retailers and wholesalers reduce costs, maximize profitability, and intelligently scale their omnichannel operations to meet customers needs. Stitch integrates with top eCommerce, POS, shipping, and fulfillment technologies such as Amazon, eBay, Shopify, Magento, Bigcommerce, ShipStation, Square, FBA, SPS Commerce, UDS, FedEx Supply chain, as well as accounting solutions including Quickbooks, Xero, and inDinero. Unleashed Software is a powerful, integrated platform that allows businesses real-time visibility of accurate inventory information. Reduce costs and increase profits with precise tracking data on all stock items. As a cloud-based software, Unleashed partners with a range of eCommerce, point of sales and accounting software to provide an end-to-end business management solution. Unleashed Software was one of the first business applications to adopt cloud technology over eight years ago. Today, we have thousands of happy customers in over 80 countries globally - and growing! We are a powerful inventory management solution that helps businesses grow with real-time inventory accuracy they can trust. HandiFox is an award-winning Inventory Tracking and Sales Management System designed for seamless QuickBooks data integration across mobile devices, including smartphones, tablets, and ruggedized industrial handhelds. With HandiFox on your mobile device you can do Purchase Orders, count inventory, track inventory at multiple sites, do Sales Orders and Invoices, receive payments. Also verify your shipments by picking and packing. 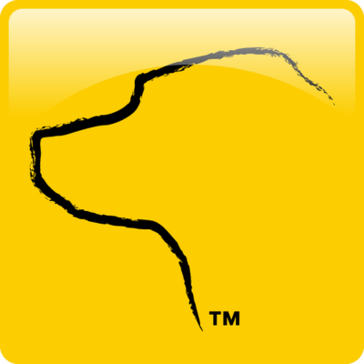 HandiFox allows barcode scanning, receipt printing, barcode label printing, taking customer signatures and more. World leaders in inventory management software. SalesBinder is the easiest-to-use, most customizable, modern web-based inventory system that you'll actually enjoy using. As one complete integrated system you can keep everything organized in real-time, ranging from customer accounts, prospects, purchase orders, estimates, invoices and much more. Integrate with 3rd party systems such as QuickBooks, Xero, WooCommerce, Zapier, and many more. Build your own integrations using our full featured API. There's nothing to install and getting your account setup only takes 30 seconds. Cloud-based remote stockroom inventory management software. eTurns provides distributors, manufacturers, contractors and healthcare organizations with real-time visibility into remote stockroom inventories and then automates replenishment with iPhones/Androids, sensors, scanners and RFID. Orderhive is a simple inventory management and shipping software for online retailers. Integrate channels such as Amazon, eBay, Shopify, BigCommerce, QuickBooks Online, Etsy, QuickBooks Online, Magento, etc. to automate inventory control and streamline shipping process. With Orderhive, retailers can manage inventory across multiple warehouses and locations seamlessly. The software integrates with leading shipping providers like USPS, UPS, FedEx, DHL, etc. so that you can check rates, print labels and track shipments within one centralized interface. Also, get access to real-time analytics, business reports, and gauge which channel is generating maximum revenue easily. Cloud-based software that automates the front register and back office operations of independent retailers. MicroBiz makes it fast and easy for retailers to ring up sales, process payments, manage inventory, capture customer data, and order and accept vendor shipments. MicroBiz supports single and multi-store locations, in-store and online operations and can be run on iPads, Mac’s and PCs. MicroBiz seamlessly plugs into QuickBooks Online, allowing the publishing of financial information to QuickBooks with one click. Plugs into the free Magento ecommerce platform. Manages service and repair departments. Ecomdash is an inventory management and order fulfillment platform that gives the user the option of managing all online sales channels via the one application. It is designed for small to mid-sized multi-channel online retailers. With ecomdash, users can automatically sync inventory levels across all channels and customize their inventory rules for each channel. Ecomdash integrates with Amazon and eBay, allowing users to easily list products for sale on both channels. The platform sends and receives data from online sales channels, suppliers and fulfillment centers, giving users an increased visibility over their retail operations. Users can also integrate ecomdash with major ecommerce shopping cart services, such as Magento and Shopify. Ecomdash provides training and support both over the phone, via email and a dedicated support site, along with video tutorials and regular blog updates to assist your user experience. The software is priced as a monthly subscription at different tiers based on the user’s volume of orders. Here are a few of our integrations: Amazon, eBay, Etsy, Bonanza, Walmart, Google Shopping Actions, FBA, Jet.com, Amazon.ca, Amazon.co.uk, Amazon.co.jp, Amazon.de, Amazon.es, Amazon.fr, Amazon.in, Amazon.it, Rakuten, Newegg.com, GunBroker.com, Shopify, 3dcart, Zencart, Bigcommerce, WooCommerce, Magento, Sears, Endicia, Stamps.com, Fedex, UPS, DHW Express, Aftership, Vend, Shopify POS, Shopify Plus, CrazyLister, ShipStation, SPS Commerce, eBridge Connections, and QuickBooks Online. ShippingEasy is the easiest cloud-based shipping platform on the market. Our powerful integrations with leading online marketplaces such as Wish, Amazon, eBay, Etsy, Walmart, Shopify, Magento, WooCommerce, and many others, allow customers to manage orders, automate shipping, track shipments, and notify recipients—in one easy-to-use platform. Complete with email marketing, customer and inventory management features, along with our award-winning phone, chat, and email support—tens of thousands of online merchants use our award-winning software to ship fast, cheap, and to grow their businesses. Teapplix shipping and order management software provides a sophisticated and flexible shipping, inventory and accounting management tools for online sellers. ChannelMAX offers pricing management, multi-channel inventory management, auto conversion to Amazon FBA, and Amazon search tools. Cin7 makes complex retail and wholesale simple with all-in-one cloud inventory, POS, EDI and 3PL. Cin7 allows you to manage all your sales channels, inventory, point of sale and supply chain in one central, cloud-based software. Cin7 offers integrations using third party logistics (3PL) interface and electronic data interchange (EDI), catering for businesses increasing trend to sell globally. Cin7 is the ultimate solution if you're looking one system to manufacture, sell, manage and fulfil. Primaseller helps Brick and Mortar retailers to synchronize their Inventory and orders with their online channels of sale. Automate Purchase Orders, Synchronize Invoices with Quickbooks and Integrate with shippers for a complete omnichannel retail experience. Shopventory generates business intelligence with our powerful inventory management program by seamlessly integrating with next generation payment systems like Square, PayPal Here and Clover. SmartOps is the market leader in enterprise-class inventory optimization software. Unicommerce is the leading global E-commerce Supply Chain Solution which enables Manufacturers, Wholesalers, Distributors, Retail Chains, Individual Store owners and E-commerce sellers to automate their supply chain operations for online and offline business to sell more. Selling at Multiple Marketplaces and Carts is very easy with Unicommerce at the back-end. Unicommerce comes pre-integrated with 100+ leading marketplaces, carts, couriers/shipping companies, accounting and ERP software. Every aspect of End to End order fulfilment including procurement, vendors, inventory, warehouses, shipping, drop shipments, returns can be managed and automated with Unicommerce. Being a cloud-based SAAS Solution there is no separate investment required for servers, hosting etc. Unicommerce adds new features and functionality to the product almost every month, keeping their 10000+ sellers always on top of the things. Founded in 2012, the company has grown rapidly to become the "backbone of e-commerce supply chain industry" with the platform being used to process 100 mn+ orders annually, amounting to 15-20% of overall Indian e-commerce transactions, with the presence in 220+ cities in India and the Middle East. Unicommerce is headquartered in Gurugram, Haryana and is a profitable venture with 20-25% EBITDA margin, growing aggressively in both India and the Middle East. Aestiva Inventory is a multi-user product for managing inventory for one or many warehouse locations, scanners, desktop computers, or both. Boxstorm is an online inventory management solution that customer can access on any device through a web browser without software to download or server to maintain. It integrates with business solutions and offers a wide range of tools such as sales orders, purchase orders and more to help with inventory management. The Full Circle® software handles every aspect of your company’s operations, including supply chain management, production administration (including purchasing, manufacturing, and trafficking), and distribution of finished products to your customers. Inventoria is professional inventory stock management software for Windows that allows you to manage inventory in one or several locations. Manage your stock levels by categories, locations, and vendors. Combine Inventoria with HourGuard, Express Accounts, and FlexiServer for a low cost software solution to help manage your business. Inventoria Inventory Contrtol Software Features: * Simple, easy to use interface * Monitor your stock levels with easy to create reports. * Set up a "Just in Time" inventory management controls. * Transfer stock between locations with a few clicks. * Maintain your supplier database. * Group common items into categories for easy stock management. * Create purchase orders and email them directly to your vendors. * Set-up recurring orders and have them sent automatically. * Set ideal quantity levels and warnings when stock has dropped below these levels. * Have multiple users access the data via a web interface with just a single installation. * Restrict user access and powers (when used with web interface). * Manage multiple company profiles within the application. * MAPI or SMTP email send settings include Secure Socket Layer (SSL). * Assign items to Balance Sheet or Pofit/Loss accounts. * Integrates seemlessly with Express Invoice (v 1.34 and later) to send out purchase orders to vendors. NebuCore is a SaaS ERP for Wholesale Distribution and eCommerce businesses. Our software is used to manage inventory, barcode and scanning, Customers, B2B and B2C sales, purchasing and suppliers, e-commerce websites, and business reports. WinRetail is a comprehensive, scalable retail enterprise management solution that is uniquely designed for mid-size retailers. BarCloud is changing the way organizations track and manage inventory by providing efficient cloud based, mobile and data driven solutions to address today's business challenges. BarCloud allows you to save time and reduce errors by automating the recordkeeping process and eliminating manual data entry. Hi there! Can I help you find the best Inventory Control solutions?